“If you’re going to make a mistake, make it going forward.” That’s the best piece of advice I have ever been given as a rider. 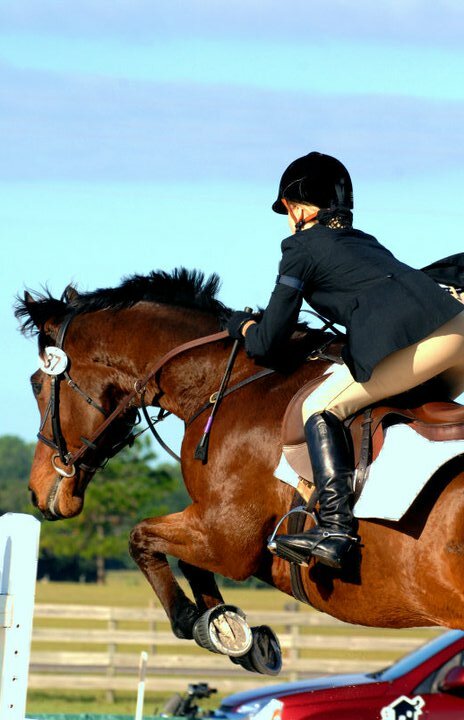 Whatever pickle you may find yourself in on a horse, leg is usually the answer. 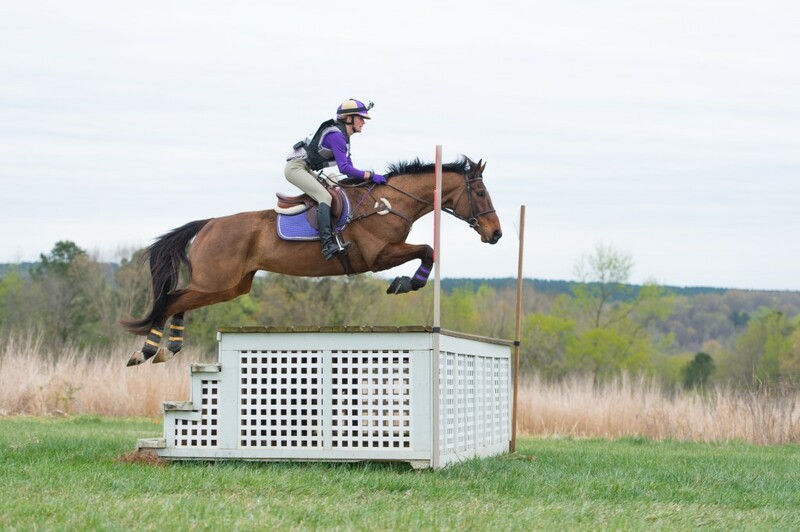 I found myself in a slight predicament on cross-country at Virginia Horse Trials in the fall, when Pirate jumped boldly over a brush, landing with his eye on his B element on down the hill a bit, like he tends to do. Meanwhile, I managed to see absolutely nothing in terms of line, distance, etc. to the big corner, but as I find myself saying all the time, thank God for Auto-Pirate! Sure, I’m guilty of getting in his way often enough, but at least in this instance I managed to have the good sense to sit there with my leg on and let him sort it out. He did, of course, and galloped on to have the most beautiful round, finishing 2nd in the Open Intermediate – our best result to date at the level. Not a bad way to wrap up the comeback tour for the broken-necked wonder, eh? That’s just it, though – I’m ready to close that chapter in our lives. We are no longer on the road to recovery; this is now the road to Advanced. 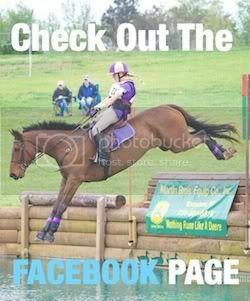 He moved up to Intermediate at the end of his 7th year and ran well at the level as an 8-yr-old in 2011, but we managed to have a 3 year setback, with first a suspensory, then the neck, and finally getting our feet wet again this past year. Now that we have bounced back, I’m ready to do whatever I need to, to give this horse a fair chance. We’ve already been given a second chance, against all odds; to let that go to waste would become the biggest regret of my life. Horses like Pirate come along once in a lifetime, if you’re even lucky enough to have one like him at all. He gives me all he has, absolutely everything in him. And it’s time I do the same for him. Francis Whittington was kind enough to leave the UK for a week in December to coach me and Pirate…okay okay, I set up a 5-day clinic, so that’s why he was really here. But I like to think he was just here to check up on his favorite American TB, ol’ Bub The Scrub (sorry P), as I consider Francis largely responsible for why I didn’t have to give up on him in the first place. The lessons were incredible, and we made some pretty serious progress; Pirate could, in fact, be a lot fancier than I’ve known how to create on my own. And that made me start thinking…what would happen, exactly, if we had more than just the hit-or-miss lesson a few times a year? What could we accomplish if we actually got in a program with someone, instead of kicking along on our own? 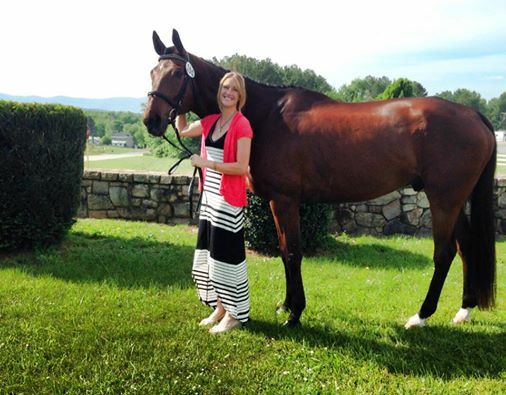 Of course I’ve thought about this before – but reality was, if I didn’t stay in Charlotte and run a business, I simply couldn’t afford to compete, or take care of this horse in the way he deserves. I didn’t have the funds, and I had to find them somehow. I built a business to finance a career. For a while, the best thing I could do for Pirate was figure out a way to pay for the things he needs, and the events I wanted to run with him. But now…it’s time I become the rider he deserves. My heart’s always been it 100% with this horse; but everyone has to put their money where their mouth is, sooner or later. I guess I just had to make it, first. 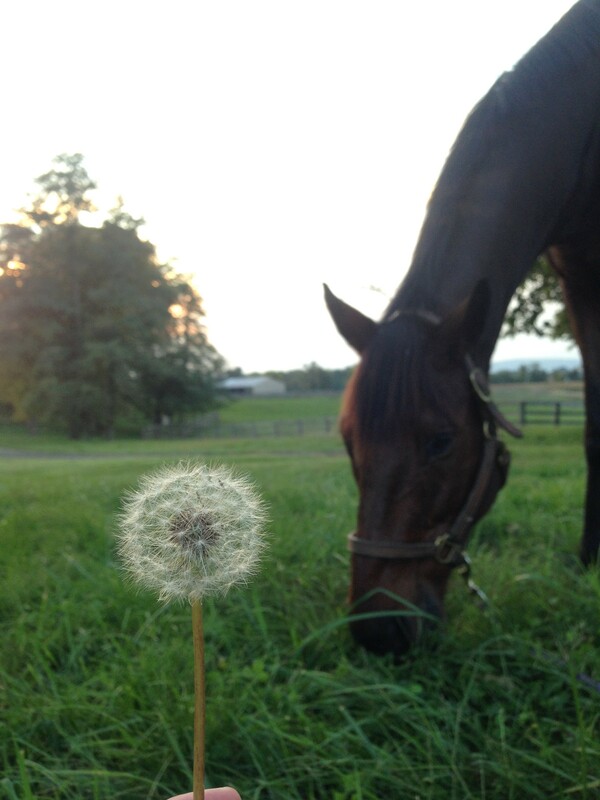 When all your hopes and dreams rest on this one horse…you wish on whatever you can. I always said I’d go off and train one day; it’s easy to put things off to “one day.” But if you aren’t careful, you’ll wake up one morning to discover that one day was yesterday, and your life has left you behind in the dust of the dreams you once had. So when I sat down in January to plan out my year (as much as you can plan anything with horses), I realized Pirate and I are in the wrong place for what we’re trying to accomplish, at least for now. 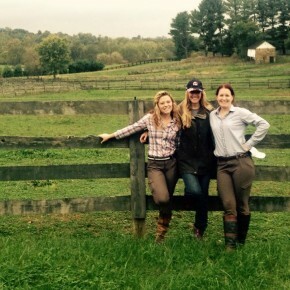 It’s time to pick up, and move up – to Middleburg, Virginia. 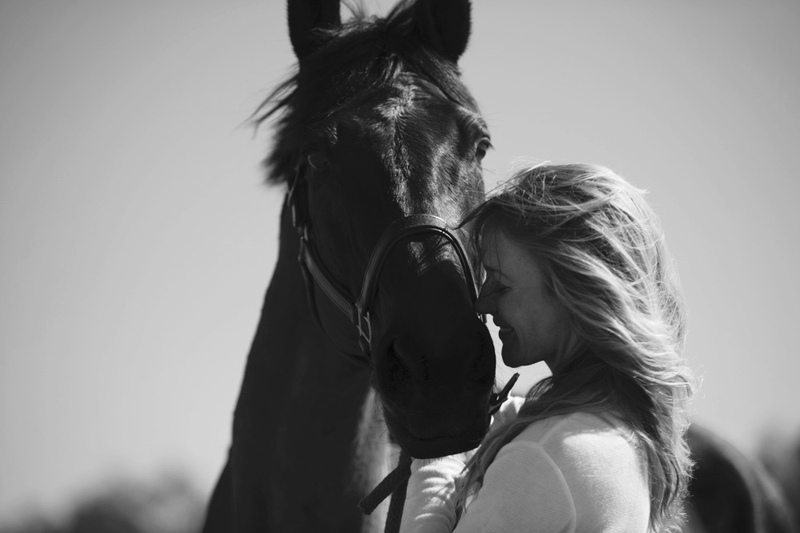 It’s always held my heart, since the days of driving around the back roads with my Godmother, for whom I owe all of this – the love for the horses, the hunger for success in the equestrian world, the drive to live my life in a way that would make her proud. I’ve spent the years since I lost her trying to find her…but she was right where I left her, all along. I have my incredible fall/winter to thank for putting me exactly where I needed to be to come this decision, and all who were in it for helping me see that I really can do this – I really can uproot my life to chase my dreams with this one exceptional horse. Every moment of your life plays into the next, and it’s fun to trace back the seemingly insignificant decisions you’ve made and see how you’ve ended up where you are. But this year is all about moving forward. I have no idea what’s to happen next – but do we ever, really? Maybe the beauty in life is in the not knowing, the mystery to what our futures hold. All I do know is that if you’re standing still, you’re moving backwards…because the rest of the world carries on, with or without you. So, as the snow melts and the winter wraps up, we’re due north. It’s time to spring forward, and make sure not to fall back – into bad habits, old ways, whatever it is that paralyzes us. Everyone has to make the jump sometime in their life – whether you’re like Pirate, hungry for it, or a little bit frightened by the unknown. Just remember: Only the things that scare you, hold the ability to thrill you…if you’re wired like I am, anyway. So just kick on and keep the faith in whatever grand adventure your life will become…and whatever you do – don’t ever look back. There are no words to adequately express how I feel about Pirate’s comeback. It wasn’t just a second chance; it was God giving me my life back, against all odds. I love my family and friends fiercely, but Pirate is my world. 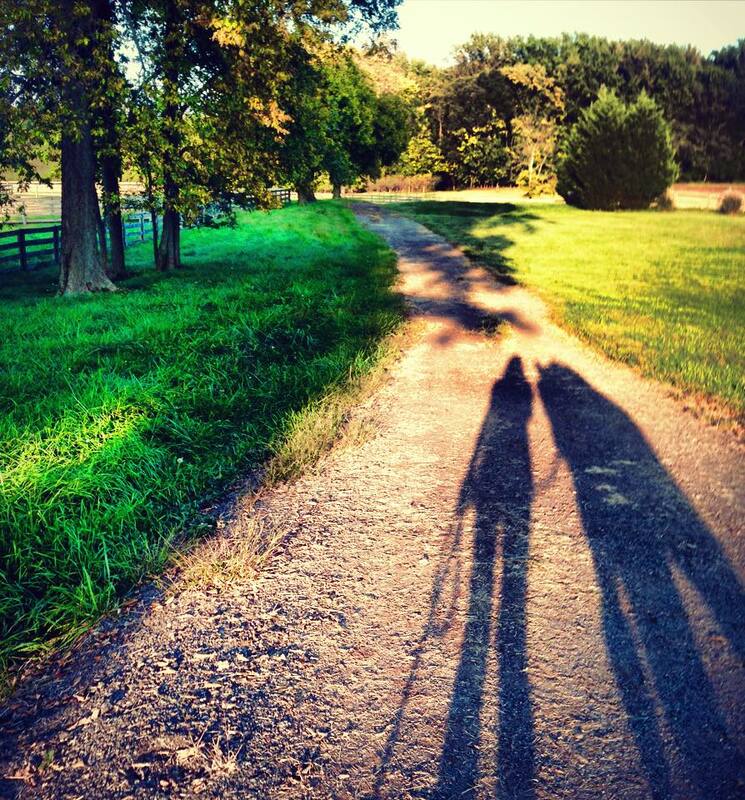 That horse is the love of my life, and he represents everything I ever wanted as a child, whilst getting run off with on my pony in a family friend’s back yard, traveling the Northern Virginia countryside with my Godmother, or simply dreaming at night of the day it would be my name they’re announcing at Badminton. (We may not be there, but what’s a dream worth if you don’t say it aloud?). The whole time, it was Pirate I wanted…even before he existed. 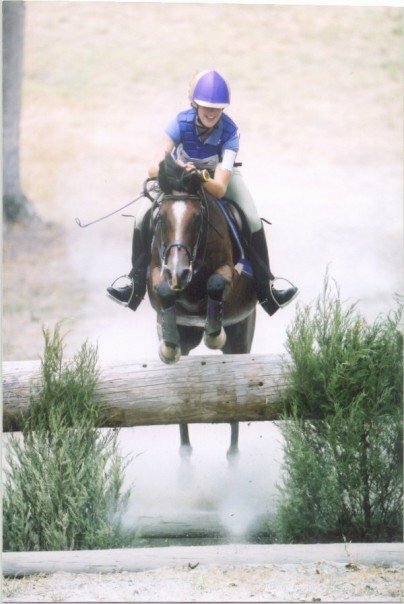 I wanted my fearless Laddy Pony on stilts, a big version of the indestructible pony that is my childhood and became my introduction to the sport that defines me. 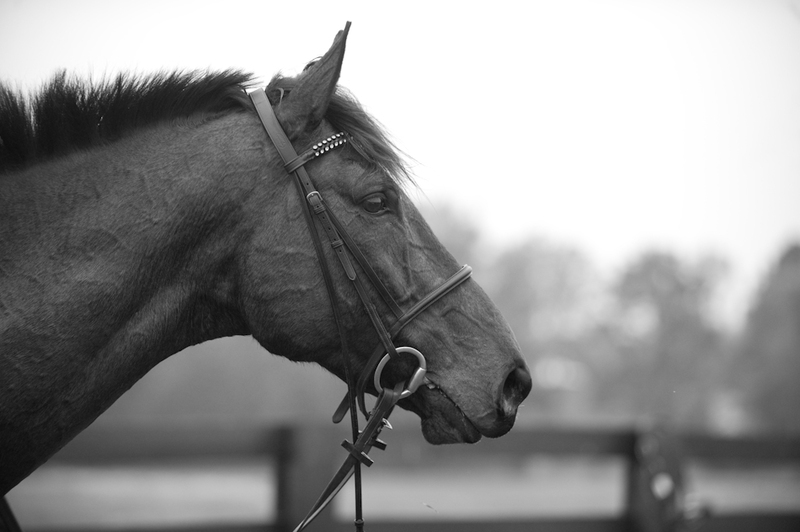 The horse with a heart of gold, who could and would jump anything for me, who would put up with the most atrocious riding out of me on some days and love me anyway…just the horse who would love me anyway, really. I can do no wrong to him, and he is the brightest part of my day, every day. 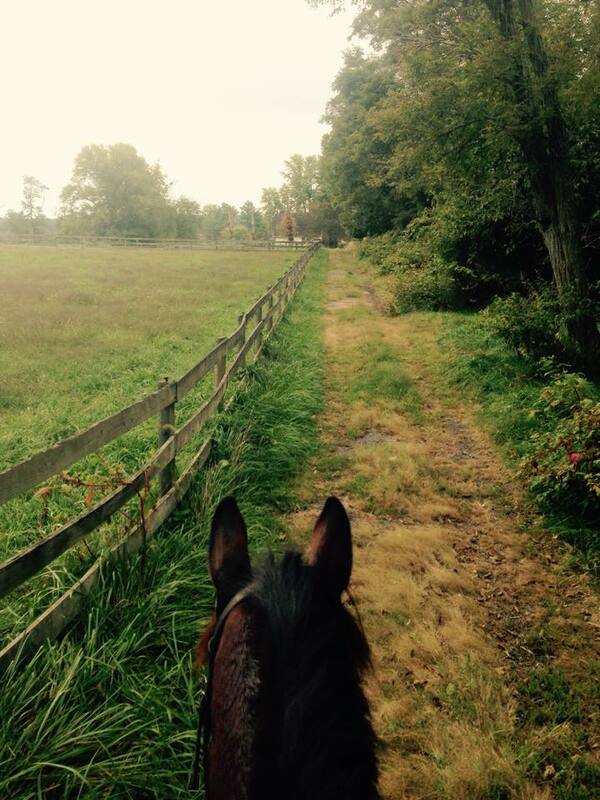 That horse comes to work every day with the biggest smile on his face, so happy to face whatever challenges await, from a dressage school to a hack to a cross-country course. He loves his life. I love my life with him, my big fearless upper level horse who carries me through more than he’ll ever know. And God gave that back to us, when He answered my prayers, and rewarded my faith that it wasn’t just over, wouldn’t be taken from us like that. I know what people told me, what people saw. 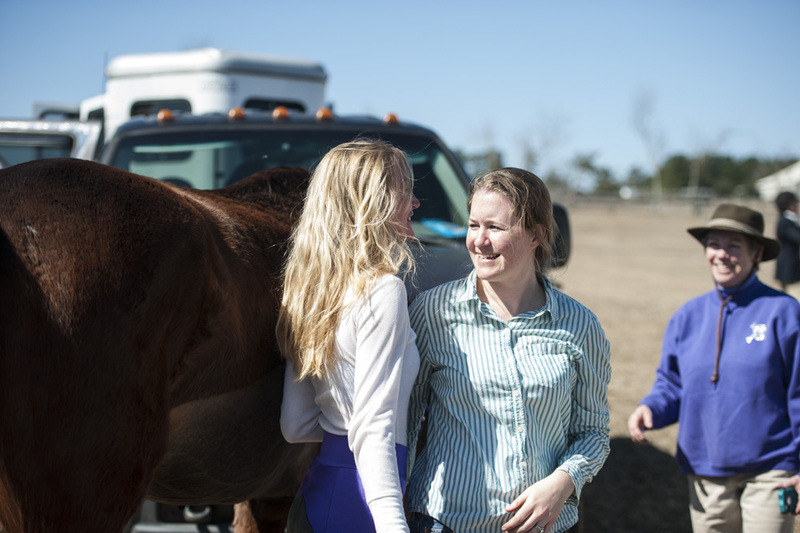 They saw a horse with a broken neck and a girl who refused to let go of her future. Pirate was supposed to be done, and it would have been easy to accept. This was no minor injury. This wasn’t a little crack in the neck; this one was bad. He shouldn’t have ever been rideable again. But, after the initial shock wore off, I simply decided not to accept this fate. Life doesn’t always work this way. But sometimes - sometimes – you can choose what you will and won’t see, believe, and accept. It can come back to bite you if things don’t go the way you want. But what if I had simply given up on this horse? Where would he be? Where would I be? I don’t want to know. All I know is that I want no part of a life without hope. And one step beyond it, faith. In something, anyway. You have to believe in something. It’s different for everyone. I chose to believe in this horse. There is a great Jim Carrey quote; “Hope walks through the fire, and faith leaps over it.” One you wish for. The other you believe in. You can hope it happens, or you can believe that it will. One inspires you, but the other empowers you. You get to decide how you will play with the fire. Pirate leaps over everything, doesn’t he; so why not this? We’re not often so lucky in life as to will something to be the way we want it, against all odds. I was this lucky. I will not forget it. I trusted not what I heard, but what I saw. I saw a horse who wouldn’t give up, either; a horse who could barely move at first ask to be let out of his stall for a walk, please, just let me try. 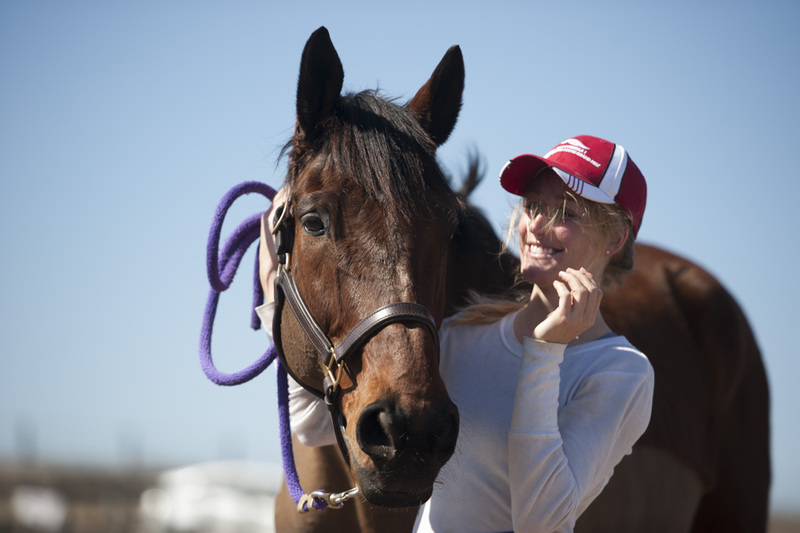 A horse who knew he was hurt, but tried to trot around his paddock anyway…until one day, he could. He watched the trailer being loaded; until the day he was on it again. I watched the horse who would never move normally again gallop around his field. And then, one day, I watched the world through his ears again; a view I was always supposed to have. 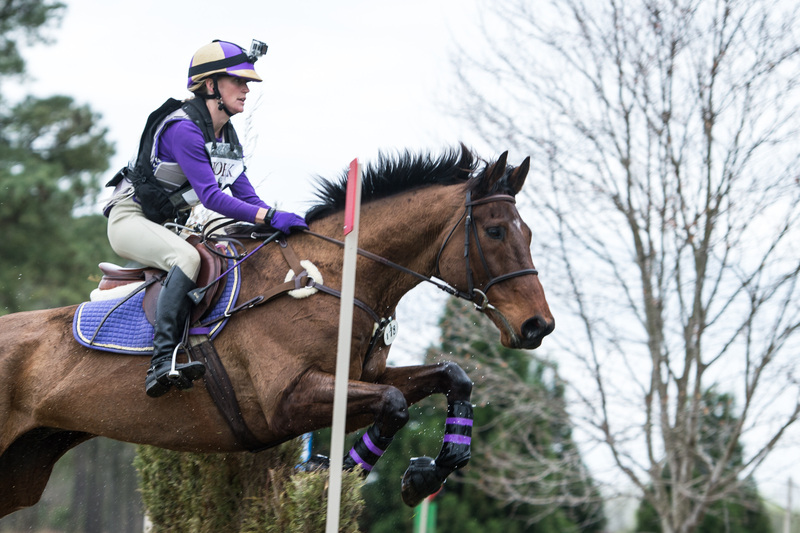 I saw a cross-country course unfold in front of us, and it wasn’t a dream. I saw the fences get bigger as we moved back up through the levels over the early spring months. And I saw our line, our stride, our distance, better than ever before. Because finally – finally – I trusted my eye. The horse who was never supposed to be ridden again tackles Intermediate at The Fork 6 weeks into his comeback tour. Our first event back was set for Valentine’s Day weekend, and there could not have been more standing in our way to get down to Paradise HT. A freak ice/snow storm in Charlotte led to my truck getting hit by a tow truck, zero riding in the lead-up to the event (half the snowy ground, the other a bad case of pneumonia that was supposed to keep me off the horses and in a hospital bed – as if I would miss P’s first event after all this, you kiddin’? ), and a trailer completely stuck in a heck of a lot more ice and snow than we are used to around here. Thank goodness for an indestructible truck, ponies being good sports, and an awesome neighbor/friend with a tractor, because somehow, we hit the road to Aiken before dark…driving down to a little town frozen in ice itself, and without power. An earthquake even hit overnight. But, after all he’d been through, I’ll be damned if any of this would stop Pirate from trotting down centerline the next day, and running off with me in stadium. He was so happy to be back. 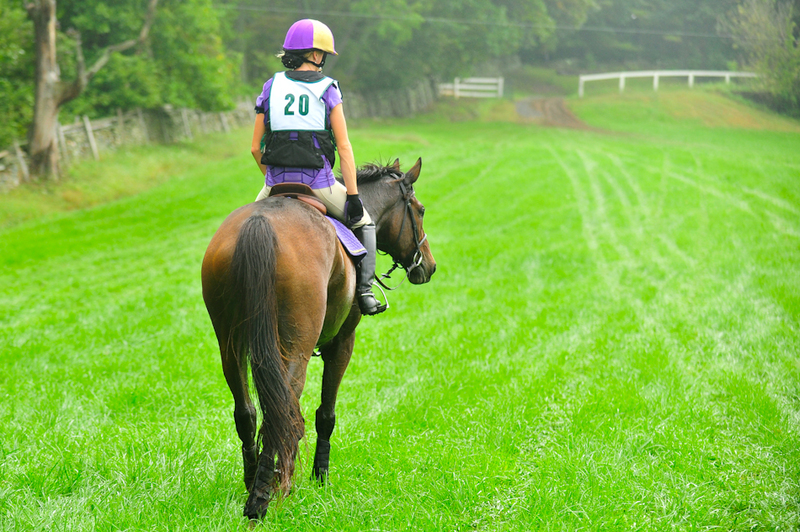 The next day’s cross-country course goes down as one of the most emotional experiences of my life. 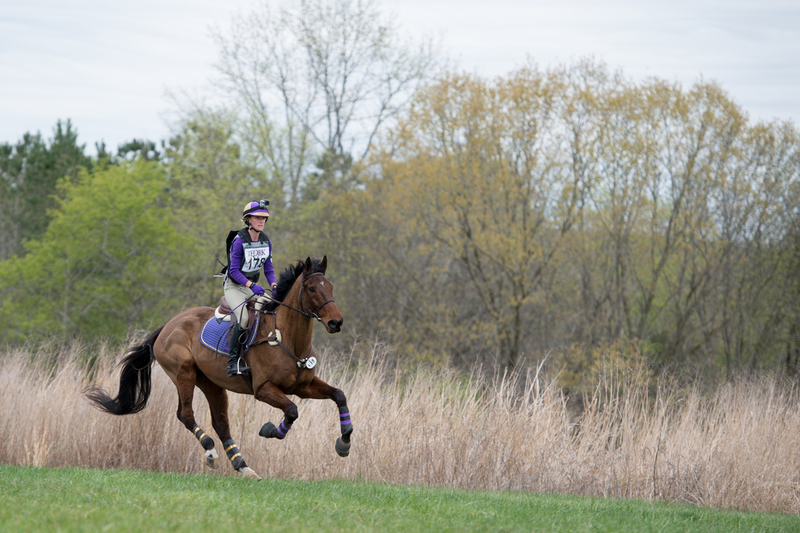 We were struck with bad weather and footing at the next few events, but Pirate continued to feel better than ever on course. He was brilliant, plain and simple. 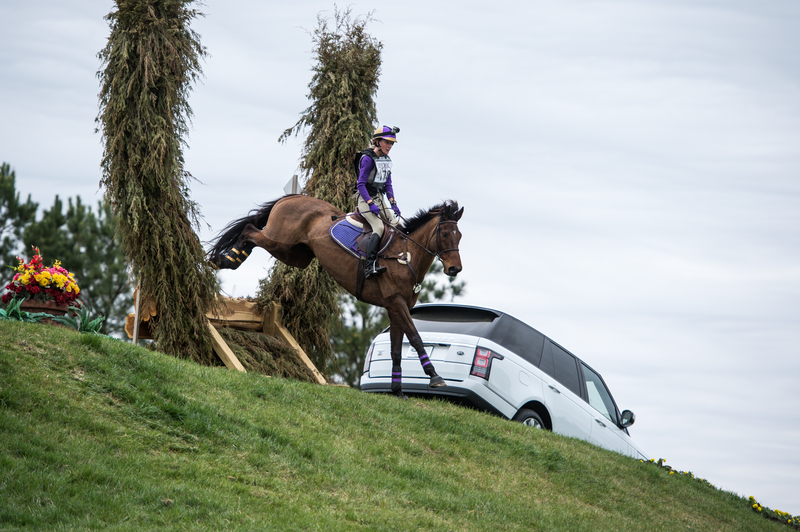 I was fortunate enough to have Eventing Nation continue their interest in us throughout our season, and after a string of great Prelim cross-country runs, well, why not move back to Intermediate at The Fork? Pirate gave me every reason to believe he was ready. And he was. He was just…incredible. 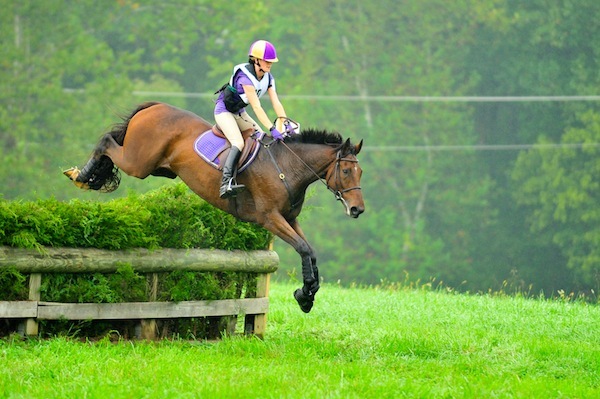 Take a look at him cruising over Fence 3 on course if you don’t believe me that it was effortless for him. That might have been the second most emotional day of my year. 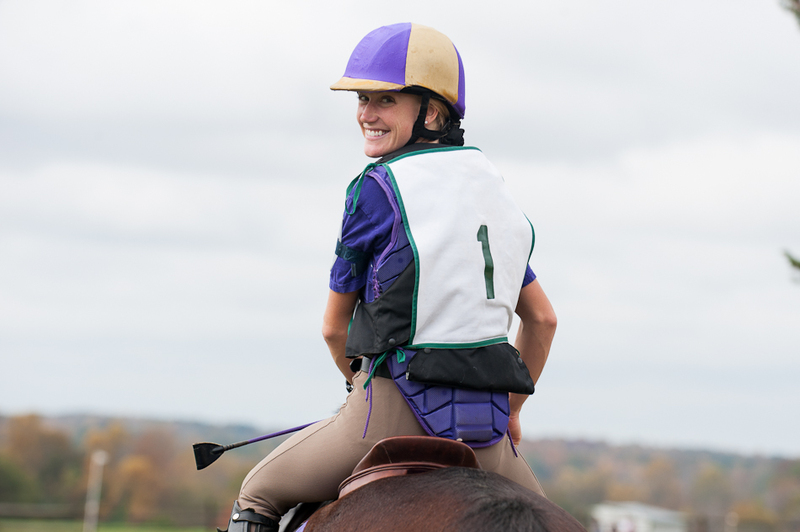 Share in my joy here on the helmet cam…even if it sounds like terror at Fence 2. 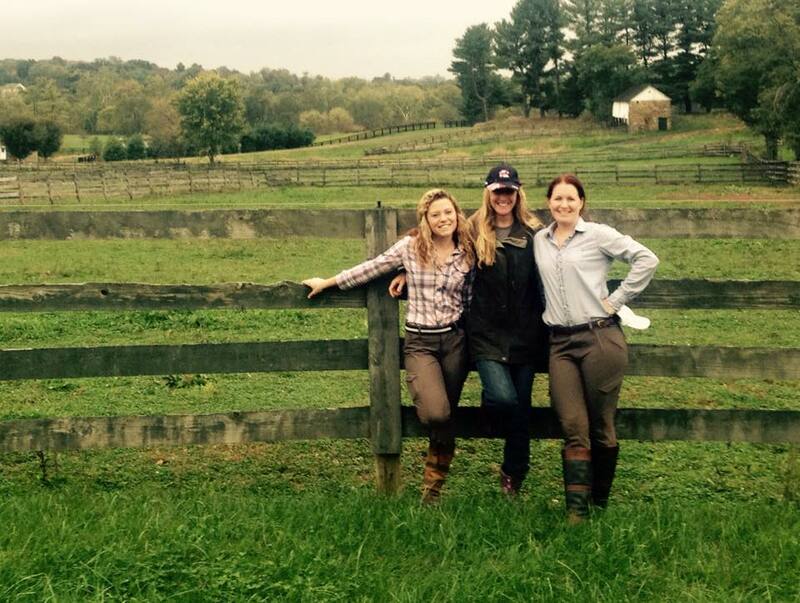 From there, we had a little break, and then went up to the Virginia CCI*. Of course, Pirate skipped around the course like it was absolutely nothing, cruising in 30 seconds under optimum time (8 min), barely blowing, to post a double clear. (Join us on the ride here; it is truly a beautiful track, and the helmet camera is worth watching just for the view!). We just missed the top ten in our huge division thanks to 2 silly rails on a course that was demolishing others, but P walked away feeling like the star that he is, and that’s all that matters. I drove home with my mother and two dear friends giggling like a schoolgirl for the impossible season we had just wrapped up…and so very ready to see what the world will reveal to me next. Nothing in life is more than our perception of it, really; no one really knows what we are seeing, and what we are missing. We only see what we want, or what we can. All you can do is trust your eye, and believe in what you see. 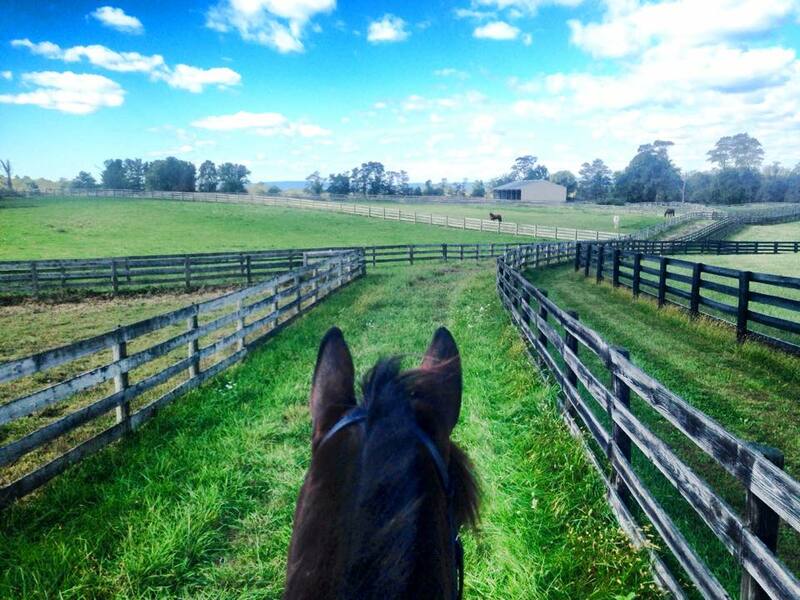 Gallop down to your fence knowing the distance will come to you, but don’t stare it down too hard or you’ll interfere. Your eye alone can sometimes be wrong, but the moment you doubt it, your horse will lose confidence in you. 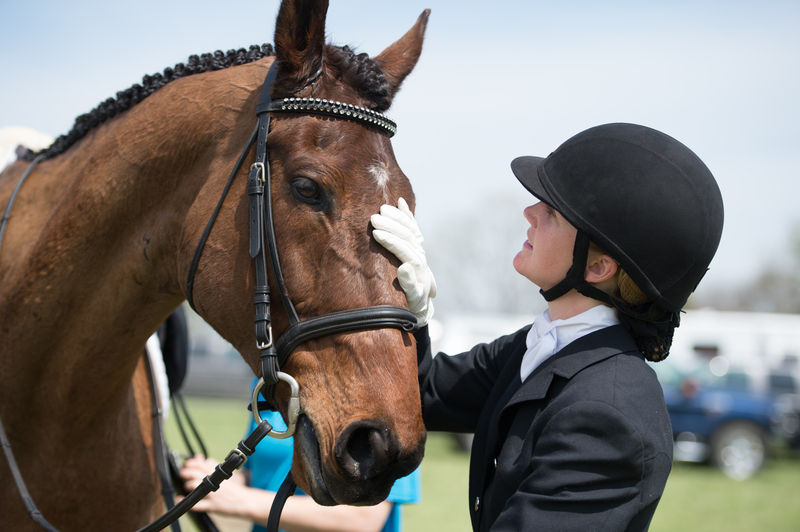 Don’t forget, your horse knows more than you do; I’ve always found that thought comforting, that I have someone working with me who knows more than I. You’ll feel it, if you’ve got it right or if you haven’t. You’ll just know. You can trust what you see only so far, but you can believe in whatever feeling it stirs in you almost always. So yes, trust your eye – but also your instincts; for they become your fate. Huge thanks to our entire support team in this process. 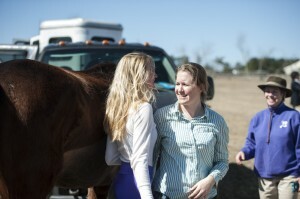 There are too many names to list, but shout-outs as always to Francis Whittington for giving us hope when all was lost; Ian Thirkell at ArcEquine for his generosity and support; our amazing vet and farrier team (Ansel Bussinah, Dr. Travis Blackwelder, Dr. Alexis Sage, Dr. Sarah Feathers); Pirate’s grooms and my dear friends, Brittany Bertrand Vuong and Emily Gray; his biggest fan (and forever “Head Groom”) Momma Colleen Briggs; my incredible family and friends, who got me through the best and worst of it all; and last but not least, Jamey Price, for the photos – and so much more. 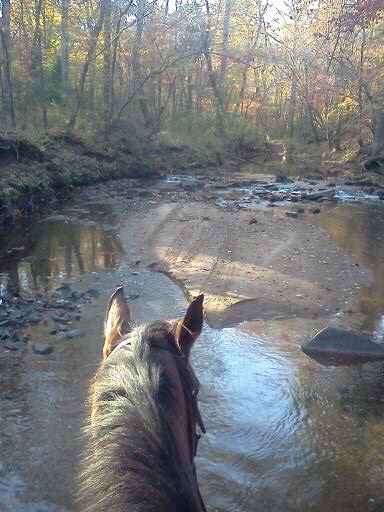 There is nothing like a hack in the autumn. 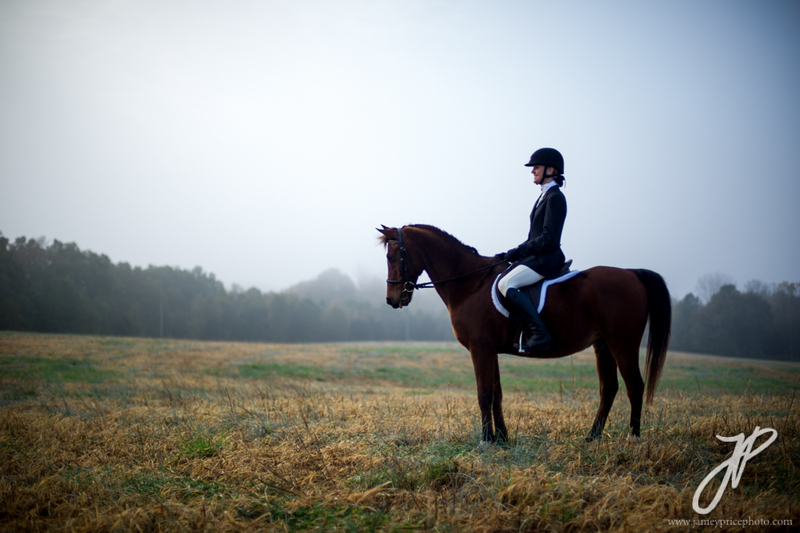 To much of the population, it’s hot cider, sweaters, and all things pumpkin that signify the start of fall, but to me, it’s the sound of leaves crunching under my horse’s hooves, seeing his breath that first chilly morning of the season. And this year, on that first perfect hack of fall, with yellow leaves swirling around me and my favorite album (The Avett Brothers’ “Mignonette”) playing on my phone, I still couldn’t quite believe that it was Pirate’s ears I was looking through once more. I am more grateful than I know how to express. I have always been in love with that horse, always known how lucky I am to have him. But now, every day that I am on him feels like the best day of my life. 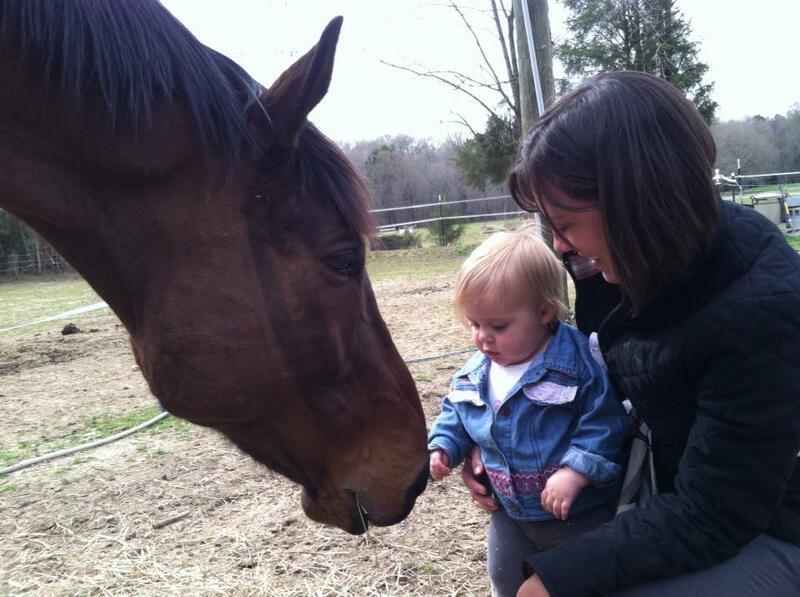 Pirate has a huge fan club around the barn; he is the world’s best babysitter. 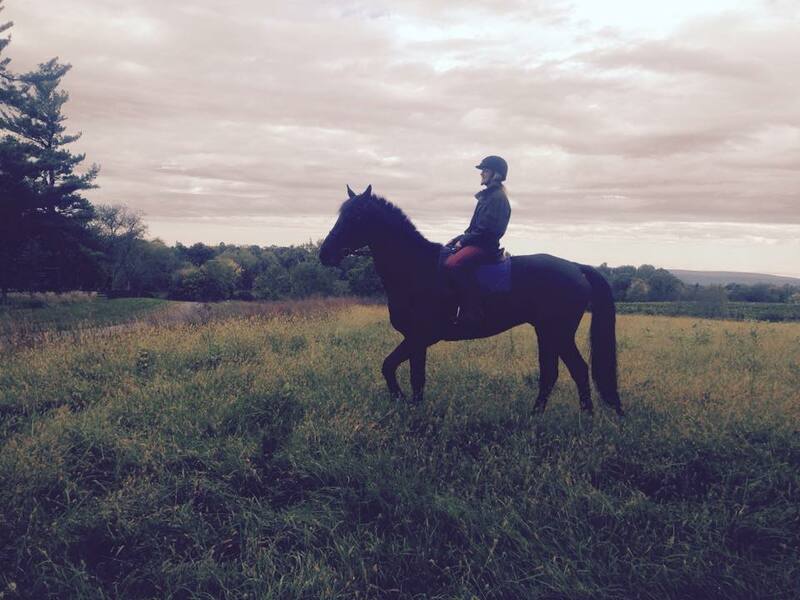 Rachel prepping for a bit of foxhunting this fall! I’m convinced the sky is never quite as blue as it is in November. There’s just this brilliant quality to it, one you don’t quite see in the South’s hazy summers. It makes me wonder if The Avett Brothers (my favorite band for the past 7+ years since I met them at The Fork HT back in early ‘04 – and now look, my friends are all famous!) were thinking along those lines when they named an old song of theirs “November Blue”….possible, but it’s more likely that the guys were just singin’ the blues. Come on, we can all relate to that, right? Okay, so maybe I can’t personally relate to a girl breaking my heart (such good fodder for a song, apparently), but I do know the general “if only things were different” feel of the song. I’ll pull a line from it: “November shadows shade November change; November spells sweet memory, the season blue remains.” If we’re going to talk “sweet memory,” I’ll jump back to this time last year, when I was walking on air over Pirate’s success in our first Intermediate, finishing 4th at Rocking Horse HT down in Florida. And if you want to talk change, this year poor Baby P is hanging out at home doing…well…a whole lotta nothin’. Let me tell you now that he is NOT a fan of this. There’s something about that week in mid-September that signifies the end of summer for me. 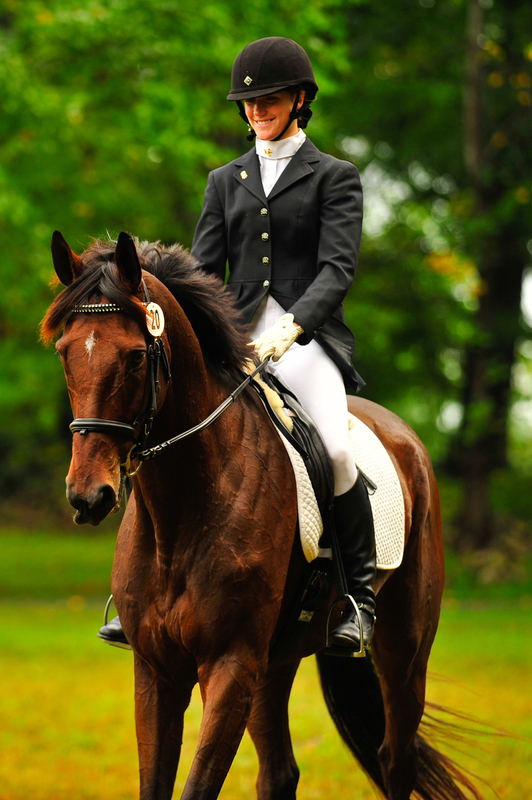 It’s always felt as if I leave summer behind when I head to the American Eventing Championships, that during that week the seasons change and I come home to autumn. Yes, there’s the obvious – temperatures begin to fall, days begin to shorten, light begins to lose its hazy summer filter – but it’s more of a, “Yeah guys, this fall season is ON!! !” attitude for me. I had big plans for this fall in particular, plans that included letters like “FEI” and “CCI”. 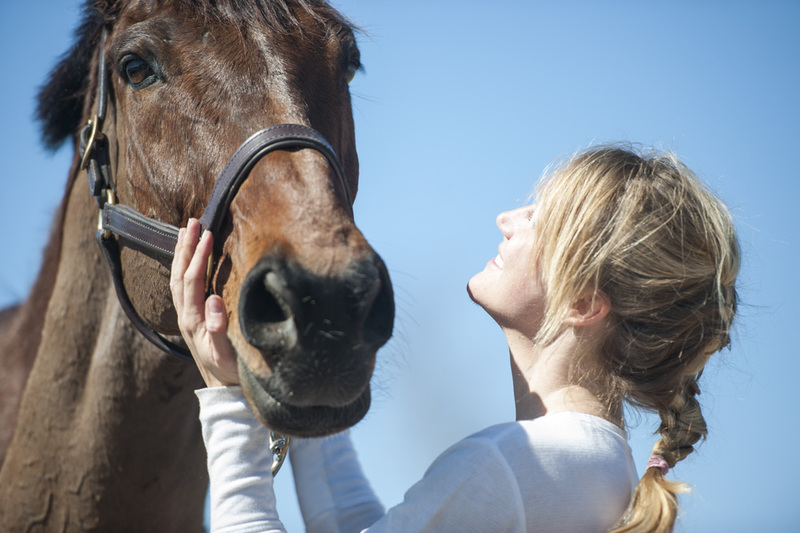 But oh, horses…how they remind you it is so rarely up to us! 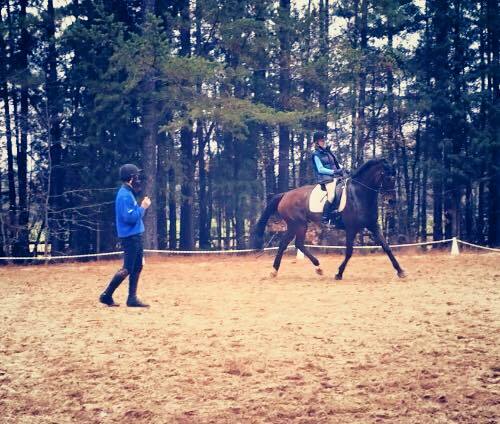 The word “plan” shouldn’t be used with horses, because plans – like rules – are made to be broken. C’mon, you guys know that line out of an old Willie Nelson song, right? “Nothing lasts forever but old Fords, and a natural stone…” Well, I have no diamonds to talk about, unless you count the rhinestones on Pirate’s fancy dressage browband made by Momma Briggs, but I DO have an old Ford F350 whose odometer currently sits at about 312,000 miles, and I would very much like to think that it’ll last forever. That truck and I have been through a lot together – the good, the bad, and the…scary Together, we have seen Ocala, Florida, where Pirate and I won our long format three-day in April 2009 (and later, in November 2010, finished 4th in our first Intermediate); on up to Chester County, Pennsylvania, where I finally got the chance to train with my idol, Bruce Davidson; and in between, so many trips to Aiken, Southern Pines, Georgia, Virginia, etc. that I’ve lost count.